happiness | Helmet or Heels: I'm comfortable in either! I’ve got another great gal for y’all to meet! She goes by She’z, is from the small town of Petaluma, CA, a friend of Jen’s (we met her back in July), and another motorcycle racer! 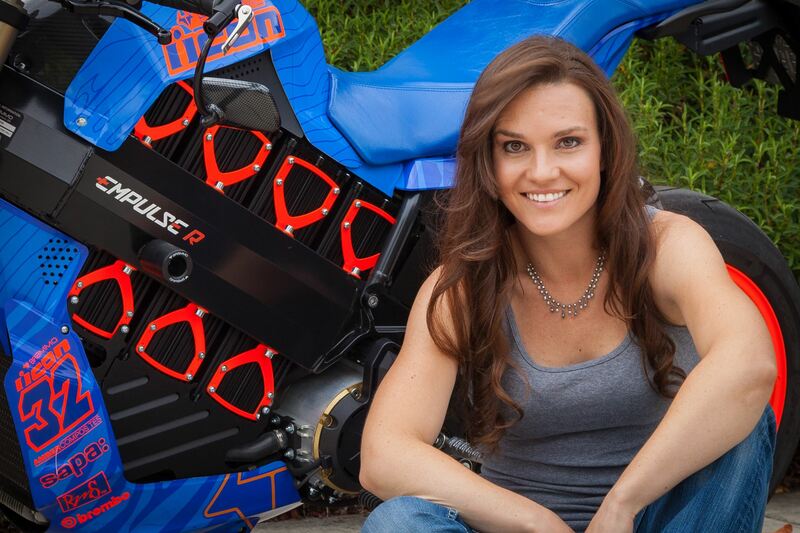 You can catch She’z on twitter @Shelina93 and check out her web site She’z Racing! How long have you been riding a motorcycle? I’ve been riding motorcycles my whole life. My dad put me on bikes before I could walk. I have a photo of me on his old flat track bike when I was a chubby toddler. What was your first motorcycle? My first motorcycle was a Kawasaki 80 that my brother and I saved our “wages” for. Dad matched what we had saved so that we could buy it together. It’s quite the memory actually. I still remember us going to pick up that bike and getting used to the snappy throttle! And the love for Two Wheels Began!! 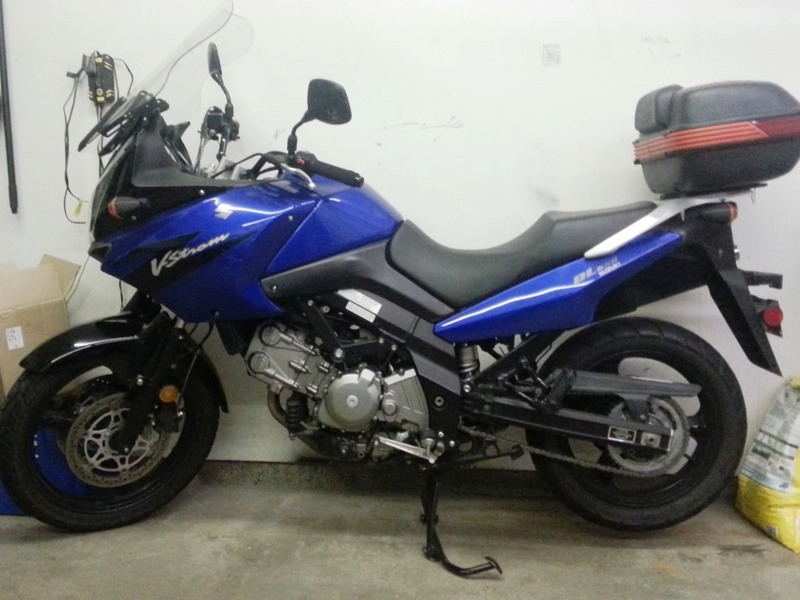 My first streetbike was an old Kawasaki Ninja 600 that I snuck home with… Mom and Dad wanted to KILL me!! Why did you want to ride a motorcycle? Because my dad rode a motorcycle, and raced a motorcycle (and still does). Because I saw two guys pop a wheelie through an intersection when I was a kid and I thought it was the coolest thing ever. Because even at 4 years old on a ranch quad, I felt like the world was at my fingertips when I was on a motorcycle. And at 12 years old I felt like I was unstoppable when I was on that dirtbike. And because for us, it was a family thing, something we got to do with my parents, and it has had a major impact on how close we are as a family. Tell us about your riding. Commuter, pleasure, vacation, racing, or ? All of the above. The reason I started racing was because I had “too much fun” on the street, and I wanted to see what I could do with my skills that was productive. I still ride on the street, for fun or to get to a meeting with the Parker Hannifin guys. I love to race, I love to train to race, I enjoy instructing at the She’z Racing and FIM girls camps now, and I consider the trails with my dad and our friends one of my favorite vacation destinations. What is the longest trip that you have taken on your cycle? I don’t do a lot of adventure riding, so not terribly long distance, usually 100 miles in a day is a good ride for me. However… At Indy this year I think I rode quite a lot of “Distance”… I raced the Harley and the Brammo, back to back all weekend. Literally hopping off of one and onto another. That was a ton of riding. Do you belong to any motorcycle groups? I actually just joined forces with the newly formed Women’s Coalition of Motorcyclists. It’s the strongest and largest organization of women riders in North America and they are working hard to promote motorcycling and grow the number of riders. I’m stoked to be a part of a group with the potential to help grow the sport of motorcycling so much. Getting more people involved in motorcycling (girls and guys) is something that is very important to me. Do you have a favorite riding story? Seems like every time I go riding I have a new favorite riding story. A more recent favorite for me was when I was at an electric bike race earlier this year. I won my class and was standing on the podium with Eric Bostrom (my Brammo teammate, who I’ve looked up to for a long time) who had also won his class, we were 1st and 2nd overall! That was one heck of a day for me. What do you do when you’re not riding? Think about riding… 🙂 When I’m not riding I’m planning and working on chasing my next goal (mostly riding related). Working on sponsorship a lot of the time. It’s hard work to find sponsorship and grow a racing career. When we are talking about non-motorcycle related activities, I have a lot of other hobbies too. I love the outdoors, I like going to the lake, kneeboarding, wakeboarding, I love to travel, try new foods, I enjoy time with my dog (Rampage), and I like hanging out with my friends. I also like remodeling old houses, my granddad is a contractor and has taught me a lot about fixing up houses. And one of my favorite things is making Halloween costumes. You’re Never Too Old to Rock! Here’s proof you are never too old to ROCK! Check out this grandma on the drums! This is a pretty humorous view on communication between a man and a woman. Enjoy!